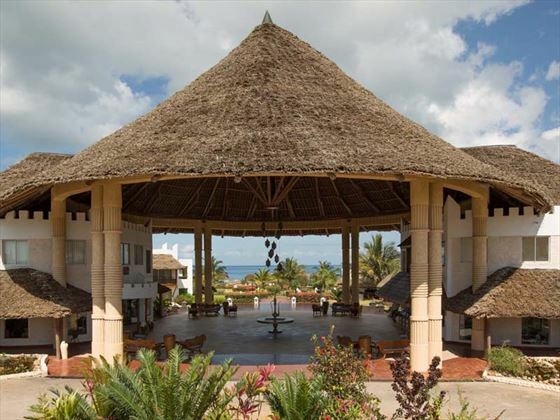 One of the most romantic hotels in Zanzibar, The Royal Zanzibar Beach is located on the powdery white sands of the islands beautiful North Coast. 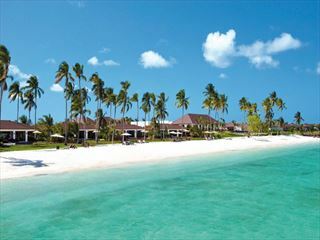 The hotel is set in almost 20 acres of paradise, where tropical gardens and swimming pools lead down to the shimmering waters of the Indian Ocean. 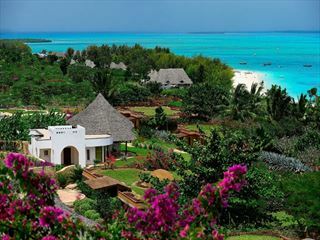 The resort has a unique blend of buildings designed in Swahili and Zansibari architecture. 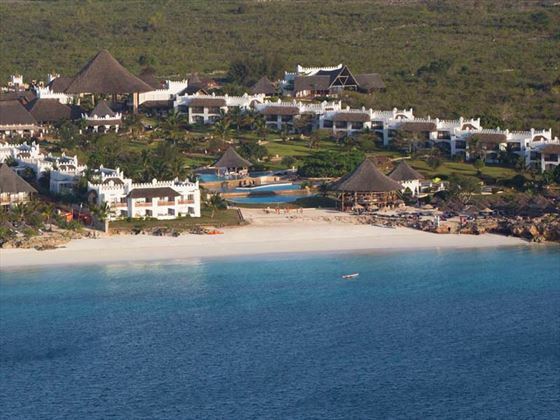 We love that you can either enjoy a relaxing holiday, sunbathing on the beach or by one of the four swimming pools whilst drinking in spectacular views, or a more active holiday immersing yourself in one of the many activities on offer; volleyball, tennis, kayaking and paddle boats to name just a few. 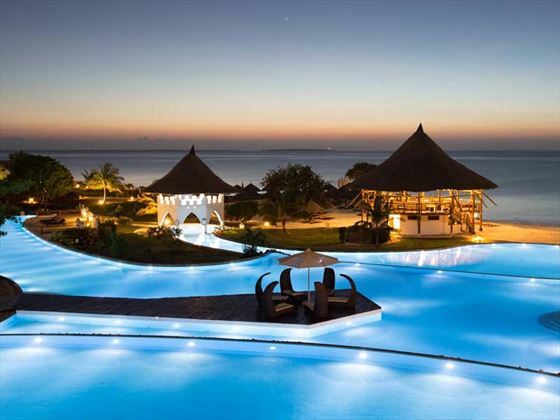 The contemporary cuisine, tailor-made excursions, amazing underwater experiences and the delightful spa, make this one of the best hotel resorts in Zanzibar. 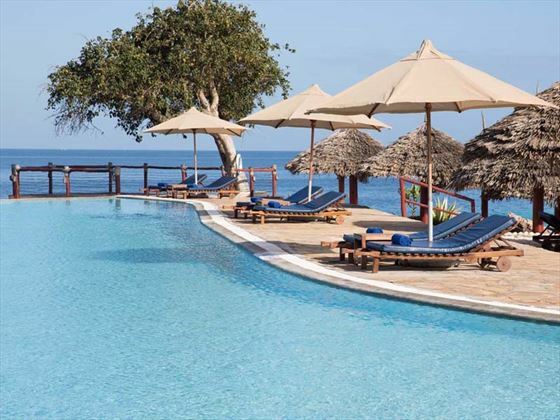 The Royal Zanzibar Beach Resort is situated on the exotic north shores of the island, a short distance from the town of Nungwi and an hour and a half transfer from Abeid Amani Karume International Airport. Superior Rooms – Feature either one King or two Queen Size beds, an oversized bathroom with a double bathtub, a walk-in shower and two sinks. 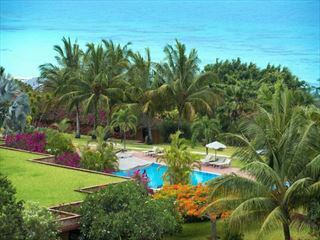 They offer a substantial verandah with beautiful garden, pool and ocean views. 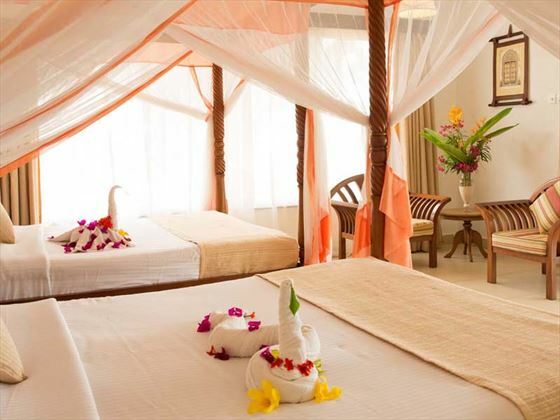 Ocean Suites – Feature a King Size bed and an oversized bathroom with a stand alone bath and walk-in shower. Each Suite has a verandah with a deck bed for two which faces directly on to the stunning turquoise water of the Indian Ocean. Spices Restaurant – Open morning, noon and night for lavish breakfasts, sumptuous lunches and exotic dinners, tempered with a choice of delicacies from around the world. Samaki Restaurant – Serving a bounty of fresh seafood in an array of culinary styles to appeal to every taste. 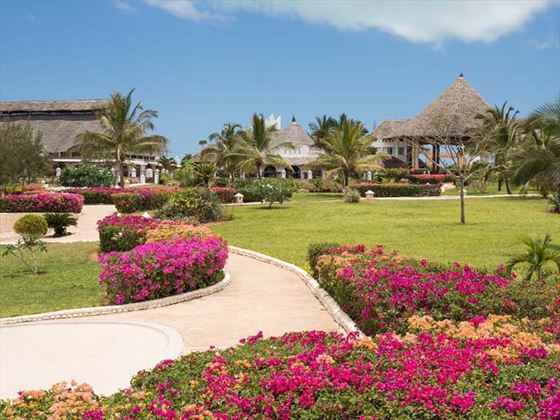 Coco Bar – Open air and overlooking the turquoise waters below. Here you may enjoy a light lunch including pizza, chips, burgers and other snacks and refreshments during the day. 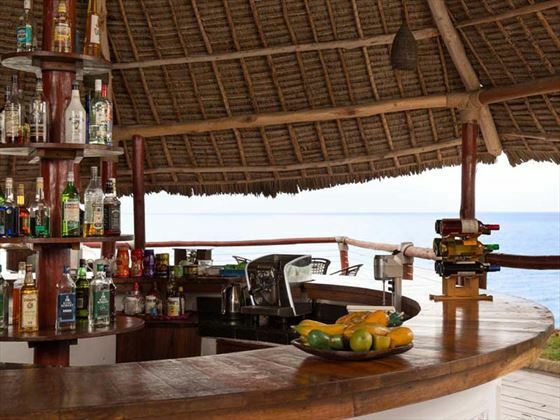 Baraza Beach Bar – Open mid-morning to night – a two-storey beach bar – a space of peace and tranquility looking over the powder white sands and the beautiful turquoise of the Indian Ocean. Mapenzi Bar – There is nowhere nicer to lounge away your day while you drink cool refreshments, including a tantalizing selection of cocktails. 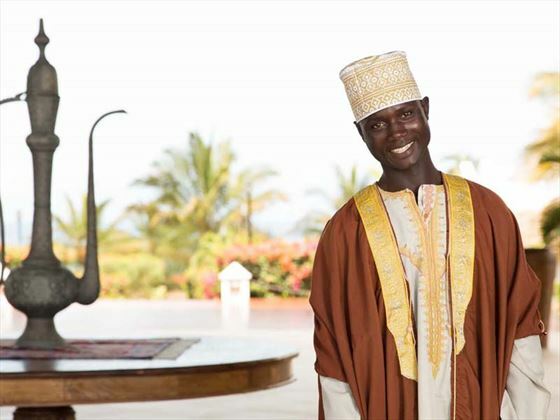 Live entertainment is presented under a star-studded African sky. Upepo Pool Bar – the Upepo swim-up bar overlooks the Indian Ocean and is ideal for indulgent cocktails and chilled drinks all day long.